3 Pre-Winter Home Improvement Considerations - Dreamstyle Remodeling, Inc.
Winter is approaching, which means this is the perfect time to get started on those home improvement projects that can help keep your home safe during the cold season. You may be surprised at how exposed your home can be after an entire year. We’ve compiled three of the most important considerations in preparation for the coming season. The first thing you’ll want to do is ensure your home is cozy and warm indoors. Part of this is having the proper heating system, so you should go ahead and get your heaters checked. But a much bigger part of this is energy efficiency. This is basically how efficient your home is at maintaining its internal temperature, without requiring too much additional help from a heater. This is where your doors and windows come into play. A comfortable home is able to maintain a comfortable internal temperature because very little heat escapes from the windows and doors. That’s because there are no cracks around the edges that might let the heat escape or the cold air enter. In the case of your windows (or doors with glass), multiple glass panels that diffuse heat will also be helpful in reducing the amount of heat or cold that makes it through. If your windows or doors allow heat transfer, it might be time to consider getting replacement windows or doors. That’s because of wood’s tendency to expand and contract depending on the amount of moisture it has absorbed, and the amount of heat it is exposed to. During hot, humid days, the material of a wooden door tends to expand. You’ve probably experienced doors sticking during the summer. That’s because your door is essentially larger at this time of year. The reverse happens during the winter. Since the air is dry and the weather is cold, your door will do the opposite of what it does during the summer: contract. Suddenly, your door will stop sticking, and you have a fully operable door again. This normally wouldn’t be a problem, except that the tendency for most people when their doors start to stick is that they chip away at their door in order to reduce it to a size that fits the door frame, in an effort to prevent structural damage caused by an oversized door. But when it shrinks back to its old size during the winter, you’ll find new gaps around your door frame, which can lead to more cold air seeping in, and warm air seeping out. Winter is the time of the year when you would normally prefer to have more heat coming into your home than leaving it. Which means that the more sunlight that comes in through your windows, the better. If you’re going to get a full remodel anyway, consider moving your windows to a south-facing side of your home. That way, you get maximum exposure to more of the sun’s rays. 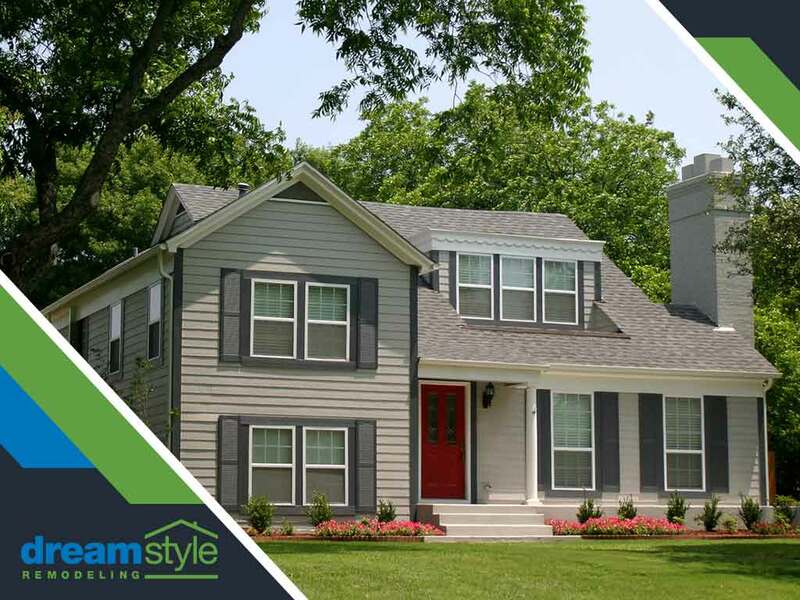 At Dreamstyle Remodeling, we’ve had plenty of experience preparing homes for the winter. In fact, we’ve helped over 60,000 homeowners throughout our years of service. Consider us when you start thinking of preparing for the cold months. Call us at (877) 721-1590, or reach us by filling out our contact form. We are the top choice for home improvement in Albuquerque, NM, and the surrounding areas. I am very pleased with my new Renewal by Anderson windows and sliding glass doors. Thanks guys!